I was in Singapore for a week and spent most of my time at Mt. Elizabeth so I had to figure out where I could go that was nearby. Lucky that I had just downloaded the new LUXE mobile guide for Singapore on my iPhone. Using their map application, I found out that the famous Din Tai Fung dim sum restaurant was just at the Paragon shopping mall across the street from Mt. E. I was looking forward to having lunch there as a friend of mine had also mentioned that this was her favorite dim sum place in Singapore. We arrived at the restaurant at around 12:30 and the place was packed with a long queue of people waiting for a table and we were about to leave when we realized they have a fantastic seating system with a digital screen (take a number and wait to be called) as long as all the people in the group are present. While we were waiting, we were given a menu checklist attached to a small clipboard so we could already make our choices. We didn’t have to wait long. After about 15 minutes, our number started to flash on the board and we were led to a table. The person who seated us took our clipboard order away and the food started to come one after another. As we were quite hungry, we ordered several dishes – steamed chicken noodle soup, fried pork chop, egg fried rice, stir-fried spinach with garlic, and of course steamed specialties – pork won ton in black vinegar, chili and soy sauce, prawn and pork sio mai plus their famous steamed pork dumplings (xiao long bao-style soup-filled dumplings). Service was fast and our food came in quickly. Hot and freshly made, some in steam baskets and some in little dishes that were set all over the table for all to be shared. We enjoyed our lunch so much that day that we returned two days after for another dim sum fix. This time, we knew what we wanted but we also decided to try a few new dishes. My son wanted a portion of the exquisite black vinegar, chili and soy soaked won tons which he finished on his own while A and I shared another bowl of these won tons. We still had the xiao long bao and the prawn and pork sio mai but we also managed to try the noodles with ground pork and tofu, steamed pork bun, sauteed sugar pea shoots and their special drunken chicken. Again, service was efficient and quick and when you’re done, you just go straight to the cashier and pay your bill. This is stylish fast food dim sum and a must for lunch. *No reservations, take a number and wait to be called. Remember that your party must be complete or you won’t be seated. The Shanghai branch and both of HKG branches are equally good ! The truffle dumpling were my favourite. Uch a strong flavor ! Thanks for checking in Annie! Glad to hear you enjoyed Din Tai Fung. Hope your Shanghai and Hong Kong trip went well. 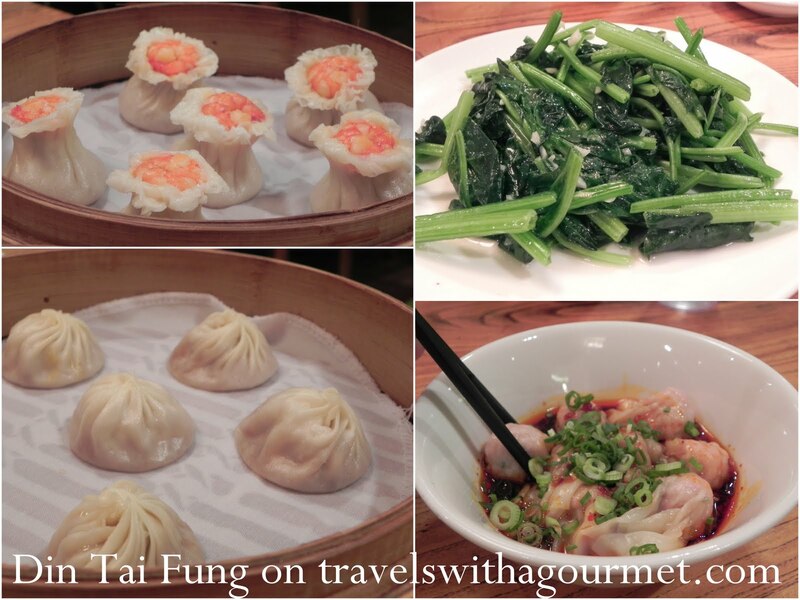 Thanks for checking in iFoodTrip!Try their dumplings in black vinegar and chili next time – those are my favorite from Din Tai Fung. 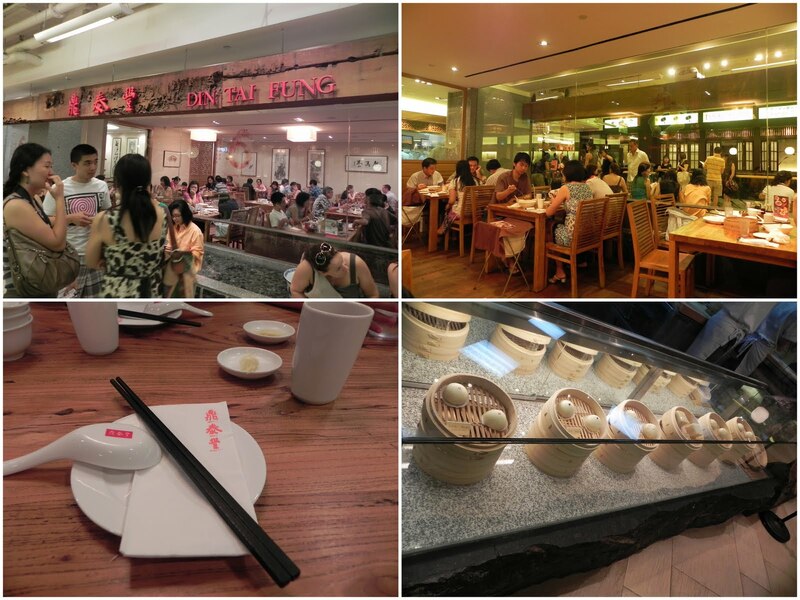 Din Tai Fung is my favorite and is a must visit whenever anyone is in Singapore. The xiao long bao is one of the best I've tried.